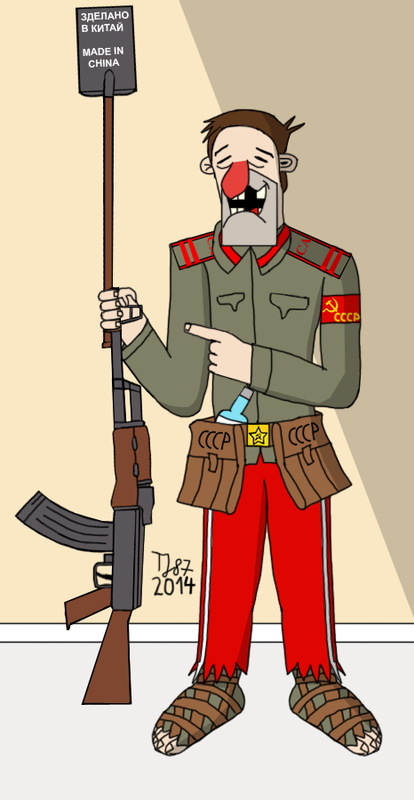 When I had account on dA operational, I used to draw satire about inhuman regimes, mostly communism, Nazism and similar forms of socialism. Having encountered incidents with Russian communists, who do behave in improper way, I decided to make fun out of the perpetrators. So, here is Silly Vassily Imbetsyliev - my OC based on jerks mentioned above. If you need proofs for Russian communists behaving improperly, I am capable of delivering those through note or email.